Gauri Tritiya is an auspicious day dedicated to Goddess Parvati and is mainly observed in Maharashtra. In 2019, the date of Gauri Tritiya is April 8. It falls on the third day of the waxing phase of moon in Chaitra month (March – April) in a traditional Marathi Calendar. Gowri Tritiya is mainly observed by women. Gauri is another name of Goddess Parvati. 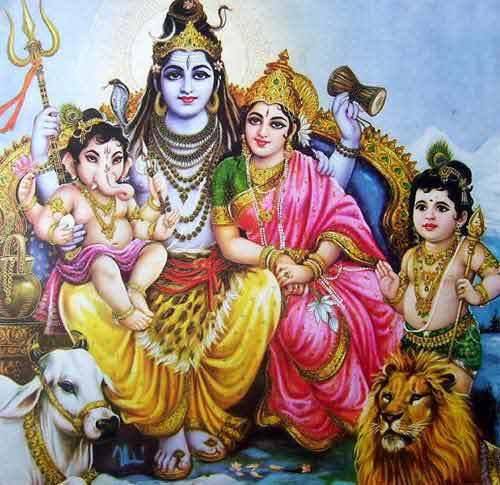 There are numerous rituals and festivals associated with Lord Shiva and Goddess Parvati. In this particular observance, it is believed that Goddess Parvati returns to her parent’s home during the period. Another legend sites that Lord Shiva and Goddess Parvati got married on the day. Women conduct special pujas at home and invite neighbors, friends and relatives to take part in the ritual. An image of Goddess Parvati is worshipped along with other deities. The prayers are for the well being of the family. Unmarried women pray for good husbands. The observance is also known as Soubhagya Gauri Vratam in Telugu culture. It must be noted here that Kashmiri Pandits observe a Gauri Tritiya during the Shukla Paksha of Magh month. Chaitra Shukla Paksha Tritiya is of great importance in many regions. The famous Gangaur Tritiya and Puja is observed on the day in Rajasthan, Gujarat and Madhya Pradesh. Saubhagya Sundari Teej is observed on the day in North India. Another important ritual on the Shukla Paksha Tritiya in Chaitra month is the Matsya Jayanti.